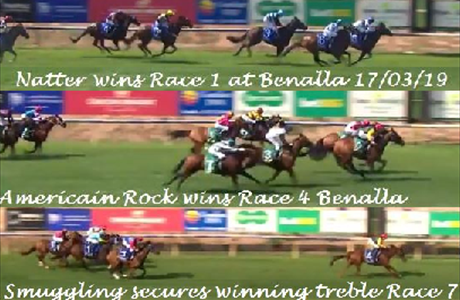 Our most successful day since moving our stable from Flemington to our home base at Mangalore near Ngambie. Welcome to S.V Brown Racing's website where you can easily keep updated on the most recent stable news, login to find updates for your horses, and hear out about new ownership opportunities. S.V Brown has his main stables located at Flemington racecourse in Victoria and is currently developing a superb horse property on 400 acres at Nagambie, just an hours drive from Melbourne. The combination of the city stables with the rural property give Brown enviable flexibility training his small but impressive stable. Brown is well known for his ability to obtain and improve tried horses, and is also achieving strong results with young horses coming through. The leading trainer in Darwin for many years, Brown has also achieved international Group 1 success in Macau, and just last year won the Group 2 Australia Stakes at Moonee Valley with Sea Lord, another tried horse purchase. Owners looking for an astute team who can improve their racehorse need look no further than S.V Brown Racing.